If you're looking to add to your enjoyment of your home while also increasing its value, adding a deck is a great way to achieve your goals. A well-designed deck will extend your outdoor living space and expand your functional and storage space. A deck allows you to enjoy the great outdoors or entertain guests within a few yards of all the conveniences of your home. Thanks to innovative composite or polymer materials, your modern deck will hold its value for decades while keeping maintenance to a minimum. At NOVA, our expert team relies exclusively on state-of-the-art materials from AZEK -- American-made products with an industry-best 30-year limited fade and stain warranty. Building or replacing a deck is a big project. NOVA holds a Class A Contractor's license -- the highest-level contracting license obtainable in the State of Virginia. In addition, we also hold the Residential Building code (RBC) designation, which reflects that we're qualified to build an entire home from the ground up. You might not be building a whole new house, but in the case of a multilevel deck, you'll know you're in good hands with a team with the proven capabilities to do so. We understand that it takes time to collect bids and choose the right decking contractor for your home. Please don't hesitate to reach out to us if you have questions as you narrow down your options. For decades having a deck has meant sanding, staining, and painting every year or two. Even with the best upkeep, wood decks are vulnerable to insects, fungi, mold, decay, and fading. And for home buyers, a wood deck can be more of a question mark than a value-add. For these reasons and more, we primarily install composite decking at NOVA Landscape & Design. These modern materials don't splinter, crack, or rot, so they're safe for hands, feet, and paws. They're made from locally sourced recycled plastic and free of the toxic chemicals used to protect pressure-treated lumber. Composite decking looks like natural wood, holds its color for decades, and requires only an occasional cleaning with soap and water. If you're going to invest in a new deck, NOVA and AZEK will ensure it's built to stand the test of time. We love using materials that are made in the USA. When it comes to AZEK, the company's Chicago headquarters and Ohio & Pennsylvania manufacturing facilities are just a few of the many reasons we choose to build decks exclusively with their products. Different brands of composite decking are not created equally. 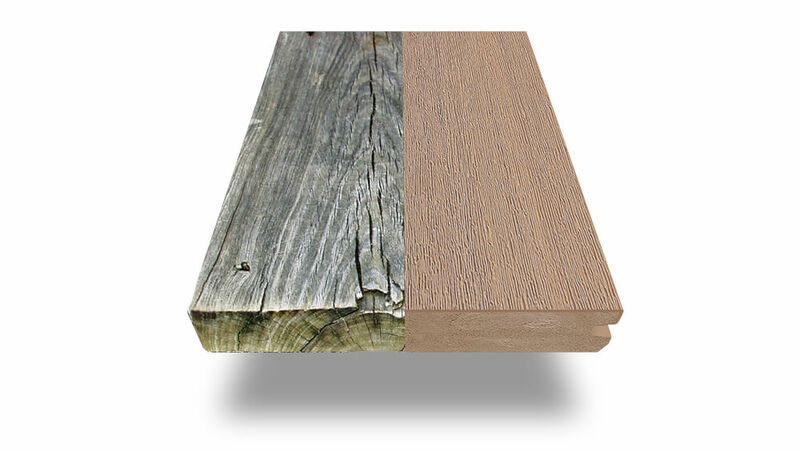 AZEK offers both capped wood composite and capped polymer options which are more resistant to the elements than traditional wood, and which provide added durability, mold and mildew resistance, and a splinter-free surface. AZEK offers the widest selection of colors and textures available, and their boards simply last longer and stay cooler compared to the competition. 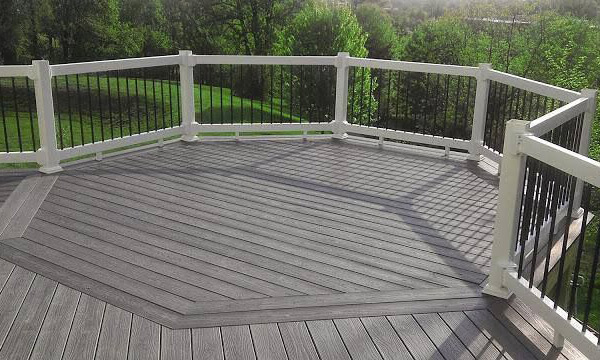 Backed by 30-year & lifetime warranties, and moisture resistant capping, these products ensure your deck will continue to look beautiful for as long as you own your home. NOVA stands behind our work, and AZEK stands behind its products. The AZEK capped polymer and TimberTech capped wood composite products we use in our decking projects are covered by an industry-leading 30-year limited fade and stain warranty, as well as a limited lifetime warranty which covers material defects, termite damage, and rot damage. 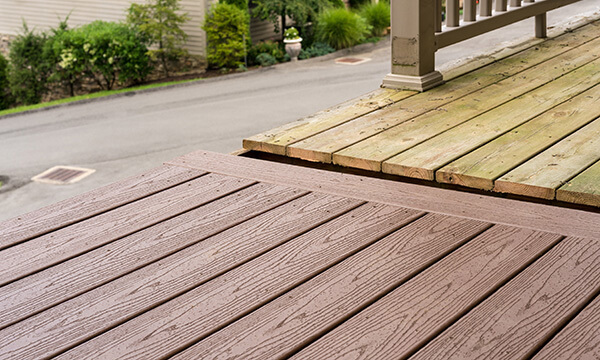 Moisture-resistant capping further protects your deck from the elements. Find out more about AZEK warranties and how to care for their products on the AZEK website.